The firm utilizes a wide array of specialists outside the firm as co-counsel and experts and prides itself on using only the top professionals in each field. The firm has obtained a number of record verdicts in the Birth Injury and Cerebral Palsy areas and for over the last two decades has had a larger inventory of brain damage cases than any other firm in Puerto Rico. More than one Secretary of Health in Puerto Rico has stated that the David Efron Law firm helped improve the quality of health care in Puerto Rico every time a Medical Malpractice suit is filed, by doctors and hospitals being more careful. When Medical Malpractice victims in Puerto Rico have had no voice, our firm was there for them, whether in the legislature, in the public forum or in the Courts. Every attorney in the firm has excellent professional credentials and qualifications with the highest moral and ethical standards of conduct and practice, and completely bilingual (English and Spanish). 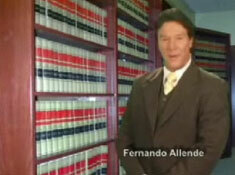 The firm also has offices in Coral Gables (Miami) and Orlando, Florida.